Thruxton Circuit will welcome a cavalcade of stand-out motor racing machinery from the worlds of Formula 1, GT and Sportscars, top-tier motorcycling and endurance to its 50th Anniversary Celebration next weekend (June 2–3), with Williams’ unique FW08B the latest star to join the fold. 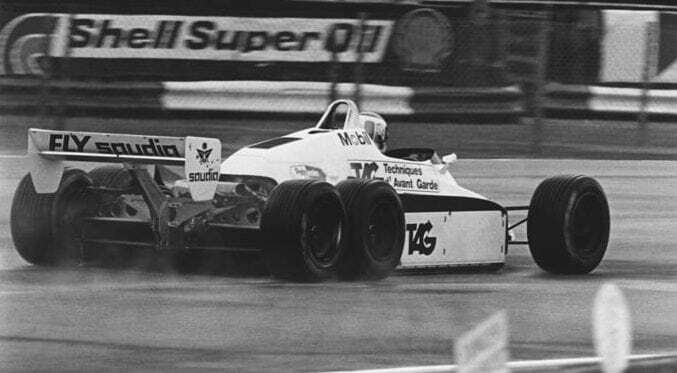 The ground-breaking six-wheeler, designed by Patrick Head and Frank Dernie, was created by Frank Williams’ outfit with the intention of running during the 1983 Formula 1 campaign, as it chased a longer wheelbase and greater “ground effect”, as well as increased traction out of corners with four-wheel drive. In testing, the car showed promise, breaking a lap record at Paul Ricard and development continued through 1982 until the FW08B surfaced at Donington Park, producing a ream of head-turning lap-times. Subsequently, the FIA issued its regulations for ’83 and included a clause outlawing both six-wheelers and four-wheel drive and the FW08B would never see competitive action as a result. The ingenious one-off will be displayed alongside Nigel Mansell’s championship-winning FW14B which stormed to nine of 16 race wins in the Formula 1 World Championship in 1992 in his hands and Williams’ 2016 charger – the FW38B. The Grove squad will be represented on-track too, with Karun Chandhok set to steer Keke Rosberg’s 1983 530 bhp Ford Cosworth DFV-powered FW08C around the Hampshire speedbowl. Further Formula 1 iconography in the form of the Lotus 87B will also be on display and will be joined by the likes of Ford’s legendary GT40 – the pioneering Le Mans-winning GT hero of the ’60s – and a modern GT counterpart in the shape of an Aston Martin Vantage GTE. Fans will also be able to get up-close and personal with Porsche’s last hurrah in the World Endurance Championship – the stunning technical marvel that is the 919 Hybrid Sports Prototype. In the hands of decorated racers such as Mark Webber and Nico Hulkenberg, the 919 flew to three consecutive Drivers’ and Constructors’ titles in the flagship endurance series between 2015 and 2017, which included a hat-trick of victories at the world renowned Le Mans 24 Hours during the same period. The weekend’s first-class competitive action comes courtesy of 13 races from the Historic Sports Car Club with the Historic Touring Car Challenge, the Royal Automobile Club Woodcote Trophy, HSCC Guards Trophy and Historic Formula Ford all highlights. 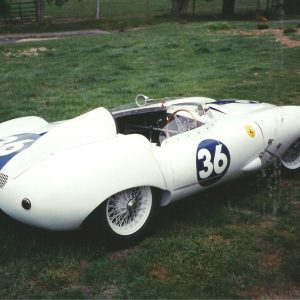 More spectacular historic racing you will not see. Adding to the circumstance on-track will be high-speed demonstrations throughout the weekend from Dunlop MSA British Touring Car Championship (BTCC) heroes Rob Austin and Rob Collard in the new Alfa Romeo Giulietta and multi-title-winning BMW 125i M Sport respectively. The pair lapped Thruxton in competitive trim a week or so ago and will be on-hand to wow crowds once again. BMW’s monstrous M4 GT4 will also demo, alongside MINI Challenge cars, muscle machinery such as the Chevrolet Camaro and a Ducati double – the 1199 Panigale R and V4 Panigale. A full list of demonstration runners and riders is available here. In addition over the 50th Anniversary Celebration weekend, The Thruxton Centre – Thruxton Circuit’s new, £2 million state-of-the-art hospitality facility – will be officially opened at 12:00 noon on Sunday, June 3 by 31-time Grand Prix-winner and 1992 Formula 1 World Champion, Nigel Mansell CBE alongside his lifelong friend – legendary motorsport commentator and journalist, Murray Walker OBE. For details on ticketing for Thruxton’s 50th Anniversary meeting, please visit https://thruxtonracing.co.uk/racing/50th-anniversary.